***OPPORTUNITY KNOCKING... REDUCED PRICE AND SELLER FINANCING AVAILABLE WITH APPROVED TERMS!! MOTIVATED SELLER READY TO NEGOTIATE WITH SERIOUS BUYER. *** LOOKING FOR AN INCOME PRODUCER??? HERE YOU GO! The owner is selling the club, 3 city lots and will transfer the license to the new owner if qualified. 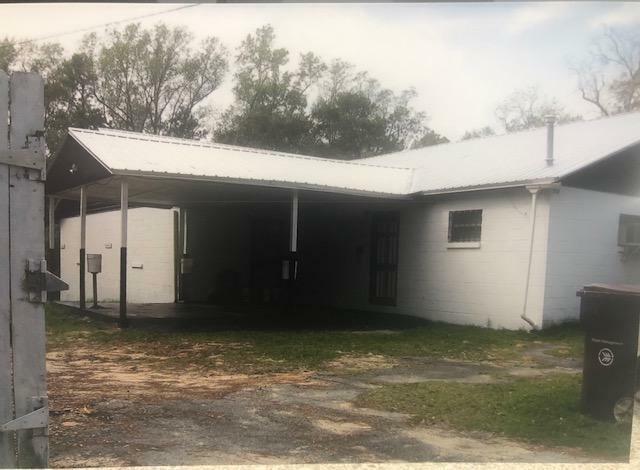 A unique club inside the city limits of DeFuniak Springs where you bring your own bottle, pay a cover charge and then party all you want. Owner is licensed to sell pre-packaged foods and drinks. There are many extras being included to make the business ready from day 1 - 2 drink coolers, 2 cash registers, security system with cameras and monitors, tables and chairs with seating for 185, 2-4 bar stools, sofa, 2 wing-back chairs, plants, etc.